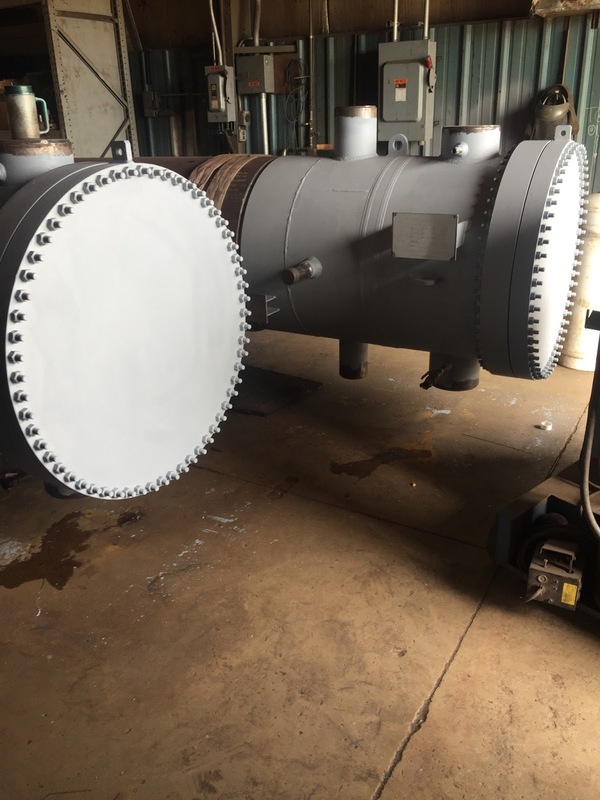 AM-EX is nearing completion on two low pressure feedwater heater replacement bundles. These low pressure feedwater heater bundles have shipping shells included to ship under nitrogen blanket for storage, and protection during shipping and storage. Contact AM-EX for details. These low pressure feedwater heater bundles also include AM-EX long drains cooler design. The long drains cooler design in a more robust, and reliable, feedwater heater design compared to the industry standard short drains cooler design. Contact AM-EX at 262-670-6600 x 104 for more details! Copyright American Exchanger Services, Inc. Simple theme. Powered by Blogger.